On Monday, April 15, 2019, a German delegation from Pasagogische Hochschule Karlsruhe visited the German Jordanian University (GJU), accompanied by Mr. Nabil Khubais the Managing Director of the German Jordanian University. The visit aims at learning more about the university and discuss cooperation opportunities in the fields of languages, design and incubator projects. 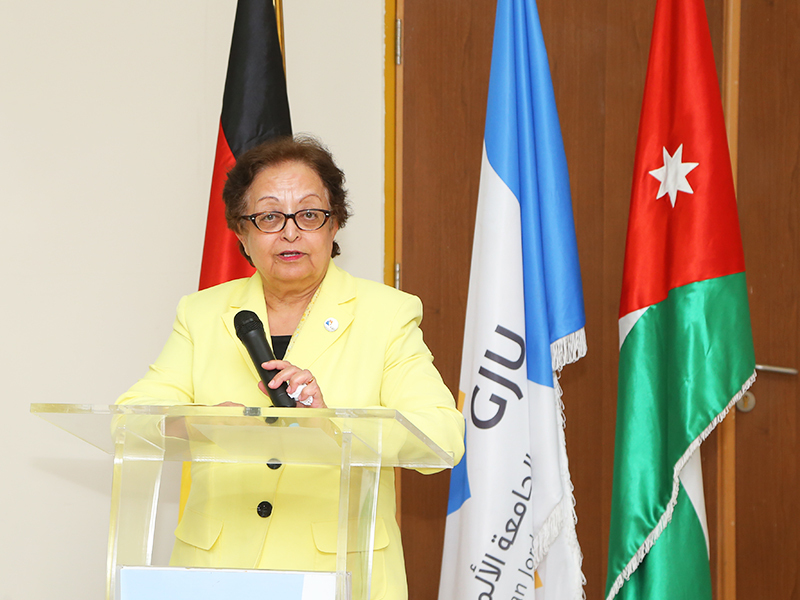 The President of GJU, Prof. Manar Fayyad and Vice President Prof. Dorit Schumann welcomed the delegation and presented an introduction about the university, its main features and the German Year. The Dean of the School of Applied Humanities and Languages (SAHL), Dr. Ala ALhalhouli, the Dean of the School of Architecture and Built Environment (SABE), Dr. Ziyad Haddad, attended the meeting where they briefed the guests about the schools. 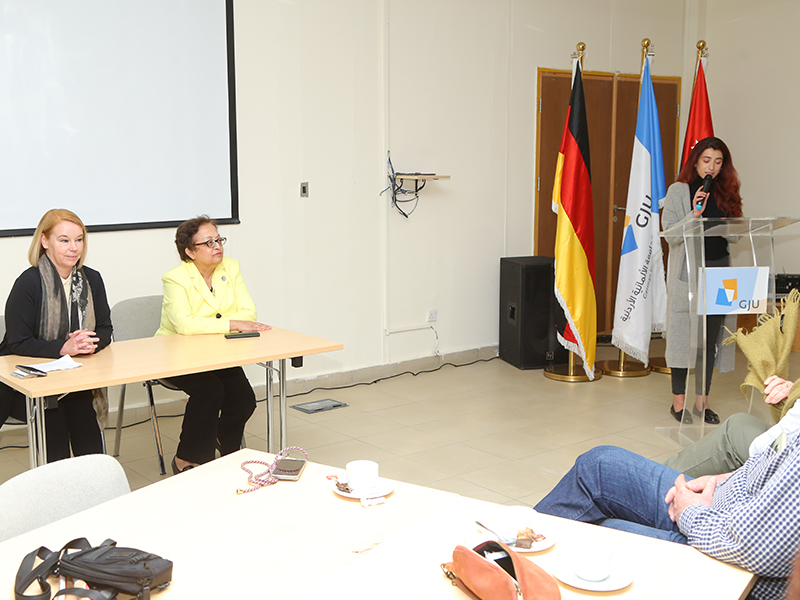 From their side, the Director of the German Language Center, Dr. Doothea Jecht, and the Director of the Office for Industrial Links (OIL), Mrs. Britta Kahler also presented an introduction about their field of work. On another hand, Prof. Jurgen Nebel appreciated the warm welcome from the university mentioning their interest to learn about the education system in Jordan especially in a refugees’ hosting environment. He added that Jordan is rich with its culture and nature hoping to collaborate with GJU in the future. At the end of the visit, the delegation toured the university.